I'm thankful that with the individual Learning Needs Analysis (LNA) in place in my current company (TÜV SÜD), I was able to indicate my interest in pursuing any courses/certifications of my choice (of course that would have to relate to my scope of work, or at least I would think so :D). There is a whole pre-defined list of learning programs in the LNA form (which obviously does not interest me at all) alongside a section where I could fill in the programs which I'm interested in, subjected to my reporting officer's review and approval. 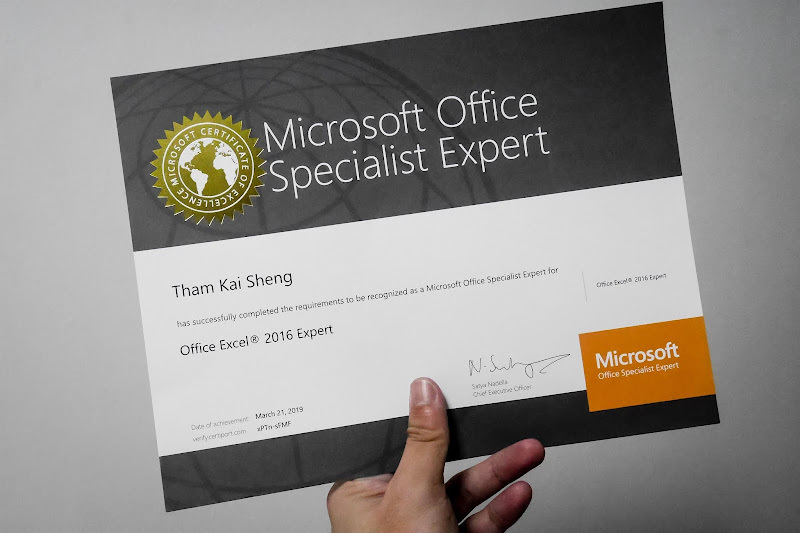 How did I prepare for MOS Excel 2016 Expert? 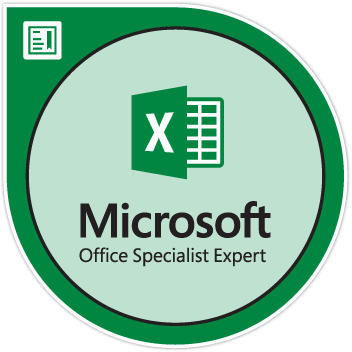 The step to getting certified in MOS Excel 2016 Expert is really simple - you just need to pass the 77-728 Exam (the passing score is 700/1,000). Initially, I wanted to just attend the 3-day course with Chua Chu Kang Community Club IT Centre and sit for the exam directly with them. Unfortunately, there wasn't sufficient candidate to justify for a commencement of class (which is very common for every similar training provider), that's when I realized I need an alternate exam prep resources. Owing to my experience preparing for PMP, I was pretty confident with learning from legitimate source of content from Udemy. Fundamentally, the first course is all you need to prepare for the 77-728 Exam, and it also comes with good amount of practice tasks. For myself, I started preparing for the exam 10 to 14 days before the exam. What kind of exam questions to be expected? There are plenty of videos on YouTube with the instructors going through the practice tasks, and the actual exam questions are very similar to those. This is when the second course listed above comes in handy, where you can really time yourself completing the whole set of projects within the allowed duration (50 minutes). How did I do for the exam? The exam is only delivered via a Certiport Authorized Testing Center (CATC). I took mine at Chua Chu Kang IT Centre, and it just happened to be very near where I live. The exam costs S$149.80 for me (at least Chua Chu Kang IT Centre is transparent about that, where most of other testing centers are lack of such information to the public). I completed the exam in about 25 minutes with a score of 963/1,000 (not to boast but I wasn't sure where did I not answer correctly though XD). *NOTE: I've been using Excel pretty extensively, my experience may therefore differ from others'.